Anyone figure out how to attach the cargo net? Okay, I'm stumped. I tried to install the large cargo net/pouch that came with the car. The instructions show four attachment points in the trunk, with one of the four clips attaching to each of those anchors. The problem is that my car only has two anchors on the floor of the trunk, in spite of the fact that the instructions clearly show all four. I lifted the carpet thinking they may have been hidden, but there's nothing there. No wonder it was left in an unopened plastic bag. There doesn't seem to be any way of attaching it. I wondered the same thing....Right now I hooked two clips to the visible rings, and the other two on the side of the cargo hatch cover. Not sure if it's right or if there is a better way to do it. I tried that, but it doesn't look right and there's no reinforcing at those points. I found pictures online that show it in a vertical position, attached to those plastic clips on the sides of the trunk near the lid, but the bracket isn't compatible with the hooks on the net ... plus they barely reach each side unless you put way too much pressure on the net and plastic brackets. Personally, I don't think the net is at all compatible with the anchor setup used on the W205. There should be 2 hanger hooks on the sides and 2 cargo hooks on the trunk floor.? It looks like US cars only get two floor anchors with a four hook net. That doesn't make any sense at all. 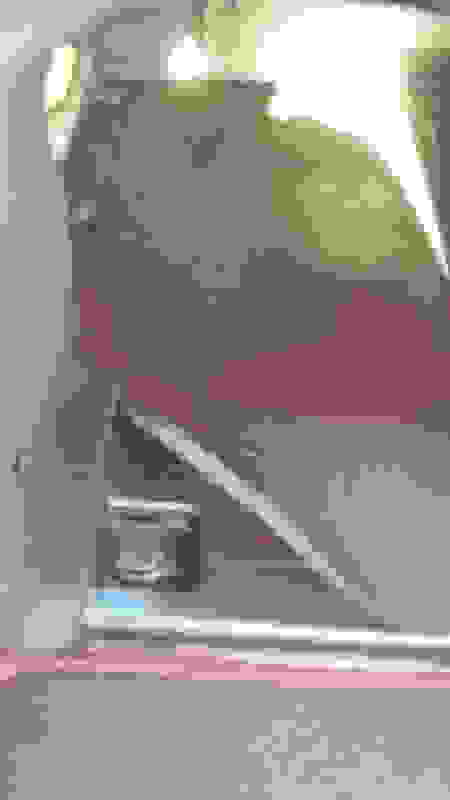 I know this is the older model, but if you take a gander you will see a little black hook on the upper lip of the trunk , I know there are hooks on the floor (4). Its just too bad they did not go with the pull out cargo/bag tray that was on the Auto Show demos. I folded the backseat down to get a better picture of where the other hooks are located. If you try to reach from the trunk it's pretty far in. You have to lower the backseats to reveal the other two anchor loops...it took about an hour before I figured it out!! I didn't look behind the rear seats, but I'll check that out tomorrow. Assuming they're there, that still won't help in securing all four hooks on the net ... they're just too far apart from the rear of the trunk floor where the other two anchor points are. I guess the question still remains ... has anyone actually been able to secure the cargo net in the trunk? I can understand some of the really high tech stuff being not ready for prime time, but a cargo net? Mercedes trunks have that one thing in common the placement of those four tie down hooks. I've been able to hook the cargo net on all the hooks but it is very tight. I had to pull on the last cargo net hook pretty hard to get it even close to the last tie down. And that was with nothing under the cargo net. So the idea is to put your stuff on the top or squeezed under the net? So where do the groceries go? Under the net? I think Lexus has a better idea: they have an envelope/net that stretches from side to side at the rearmost part of the trunk. If you want to put a set of golf clubs in the trunk, you just unfasten one uppermost loop at the top and the net falls to the mat. Four grocery bags fit nicely and nothing gets crushed. I thought I saw, in the MB ads, they have some box like storage that somehow rests on the trunk floor and is secured by the deck lid. I have used those Lexus nets before and sure they are great but its much more limited in space. 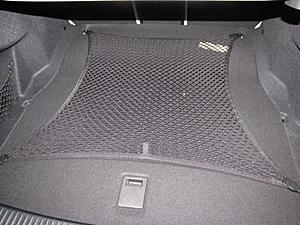 Then, in my Lexus SUV, we have a floor net just like this and its actually really great. It doesn't work with small things obviously but the net is tight enough where even large food containers/take out doesn't slide. OK, sounds good...can't wait to get my car. Talked to the salesman today, and it looks like it should be delivered the end of January. It's going to be a long two months! You are right...I'll definitely be getting that. Makes more sense than the net. I guess you can have both! I considired the box, but decided against it. From the looks of it takes a big chunk of trunk space all the time. Without it large suitcases badly fit, with it in place it becomes impossible. Unless its easily removable, I'm not getting it. Anyone know how easy its to remove the whole thing? Quick Reply: Anyone figure out how to attach the cargo net?